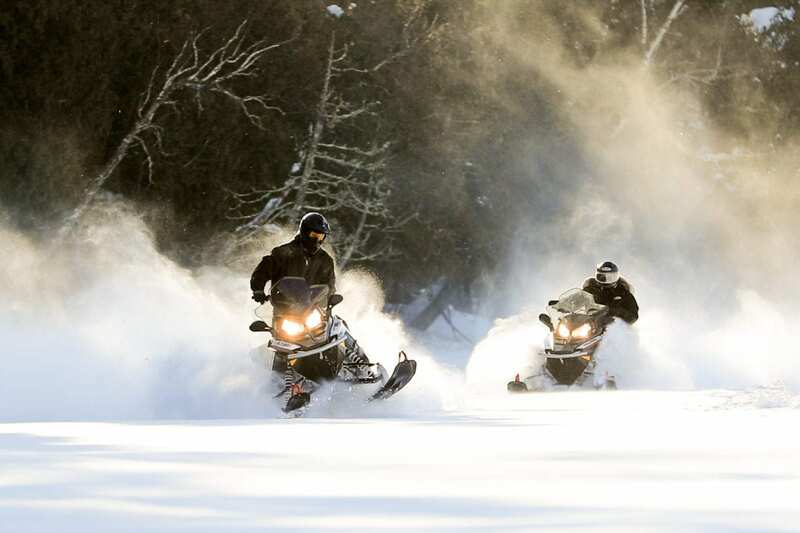 Renting a snowmobile is a great way to get out into the wilderness to explore the area. 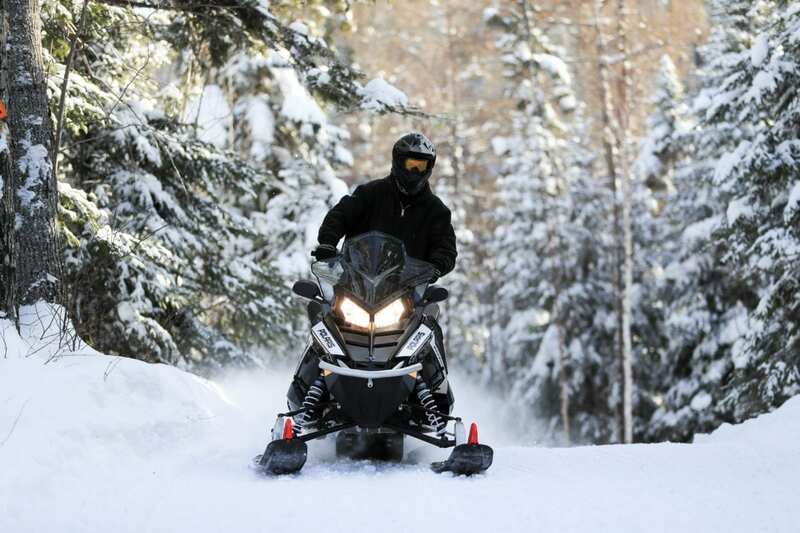 Right from the lodge property you can connect with over 200 miles of trails on the Cook County Snowmobile Trail system. You can snowmobile to the end of the Gunflint Trail or to Grand Marais and the North Shore trail system for hundreds of miles of options. The Gunflint Trail area averages over 110″ of snow per year! All of our snowmobiles can accommodate either 1 or 2 people. 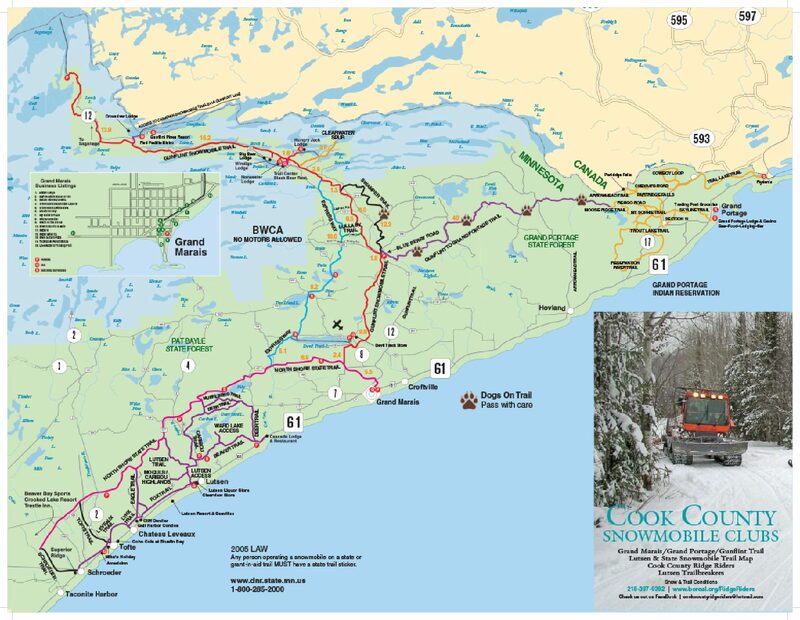 You can download a map of the Cook County Snowmobile Trail System here. Half day rentals run from 9:00 a.m. – 12:00 p.m. or 1:00 p.m. – 4:00 p.m. 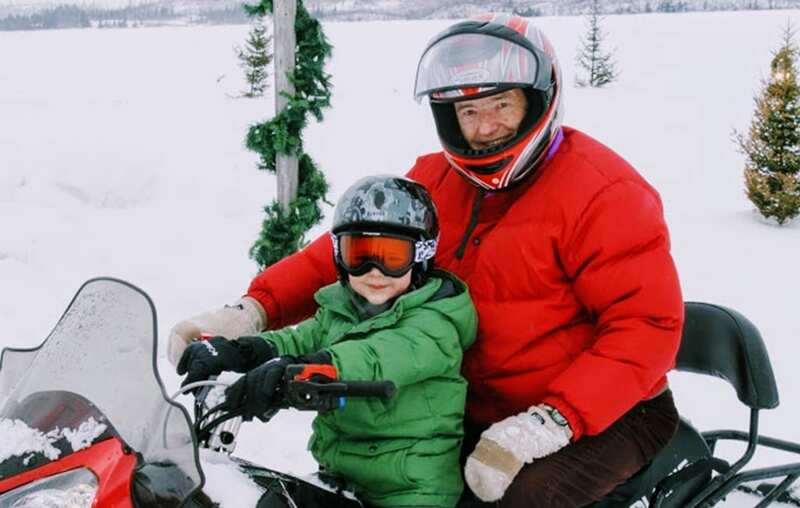 If you are a Minnesota resident born after December 31st, 1976 you will need to successfully complete the Minnesota Snowmobile Safety Course. The online course can be found at https://www.snowmobilecourse.com/usa/minnesota/. Rented snow mobiles, the lady at the outfitters was fantastic, explained everything, made sure our helmets fit, explained the trails, took us through how to operate the sleds so we felt comfortable, we had a wonderful day on the snowmobiles. . .